REFCOMM Conference Galveston 2018 - Ammonite Corrosion Engineering Inc.
Paul Cripps represented Ammonite Corrosion Engineering as a member of the Refining Community at the REFCOMM conference 2018 in Galveston. His paper on Sulfur Plant Corrosion and Integrity Operating Windows was well received during the conference. 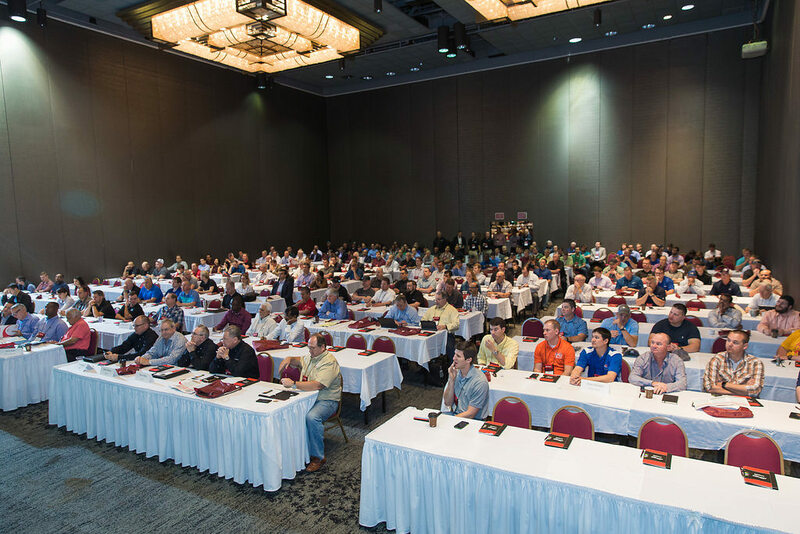 RefComm® is the biggest delayed coking conference in the world. Selected conference locations also include Fluid Catalytic Cracking and Sulfur Recovery. The seminar offers unique features like Work Groups, which solve issues in small groups, and Answers Now! which puts questions to the entire gathering for immediate, diverse input and problem solving. This is one of the very few conferences which also caters to operators who are responsible for the day-to-day production in the coker, catcracker and sulfur units (including amine treating, sour water stripping, claus and tail gas). Giving them knowledge and networking resources to run their unit effectively.